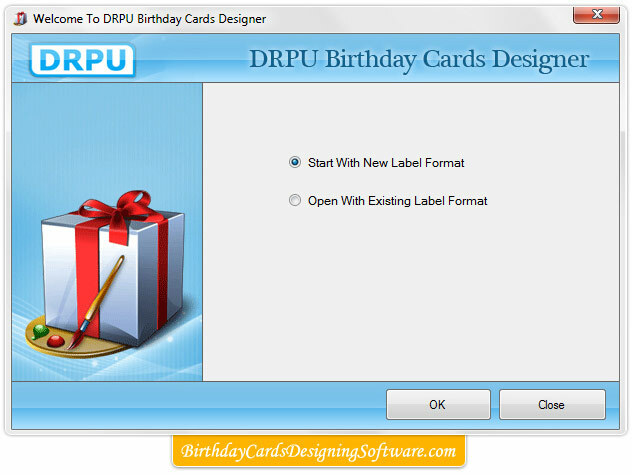 Birthday card designer software allows you to create beautiful happy birthday cards to your nearest and loved ones. 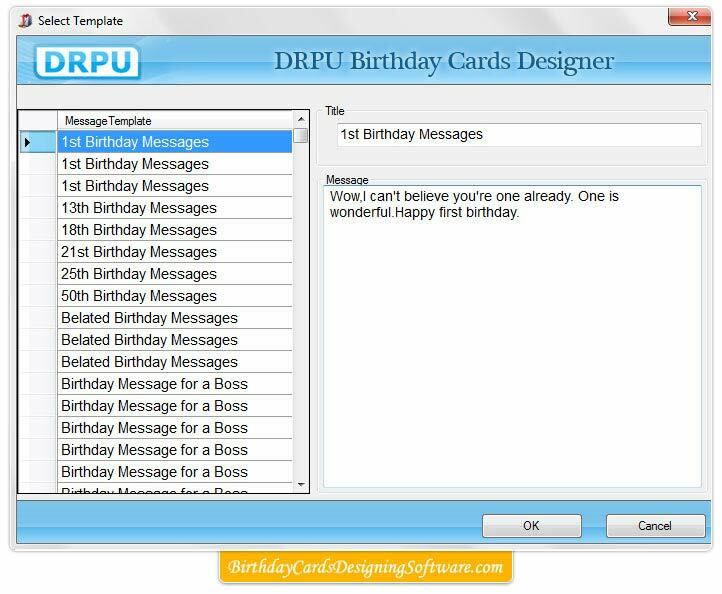 Birthday card creator program uses like, text, pencil, ellipse, rectangle, picture, star object and other card designing tools to create most stunning birthday cards. 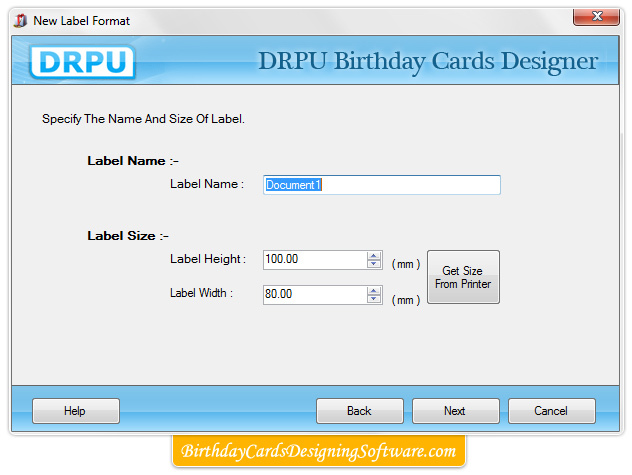 Click on the Get Size From Printer button to get label size from Page set up. Click ‘Next’ button to continue. 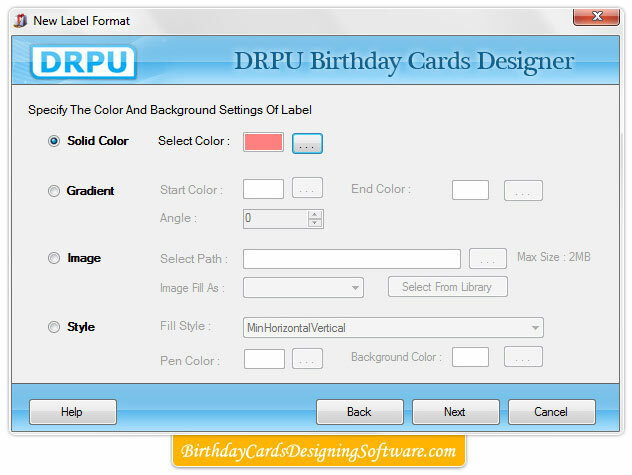 Solid Color – Specify the Solid Color to fill label region. Gradient – Select the Start and End Color to fill Gradient region. Angle – Select the angle of gradient region. Image – Click “Browse" button to Select Image Path. 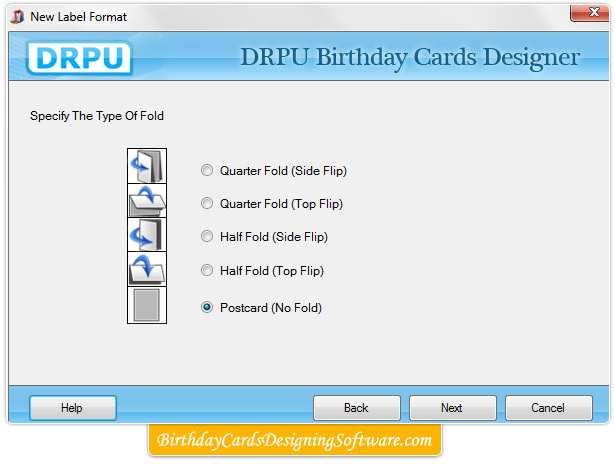 Image Fill As – Select the image position style. 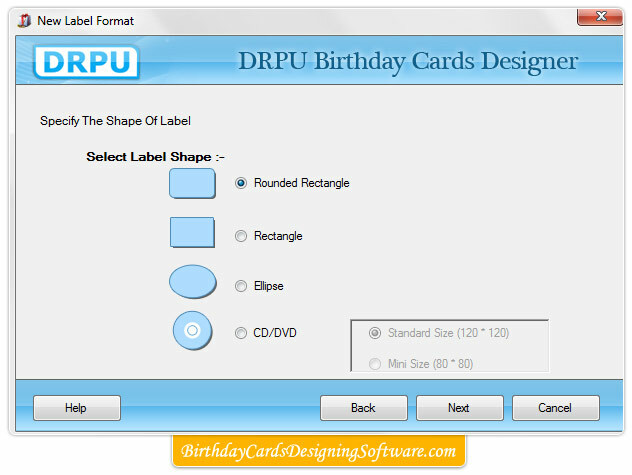 Style – Select the Fill Style to fill Label region. Pen Color – Select the Pen Color. Click ‘Finish’ button to continue. 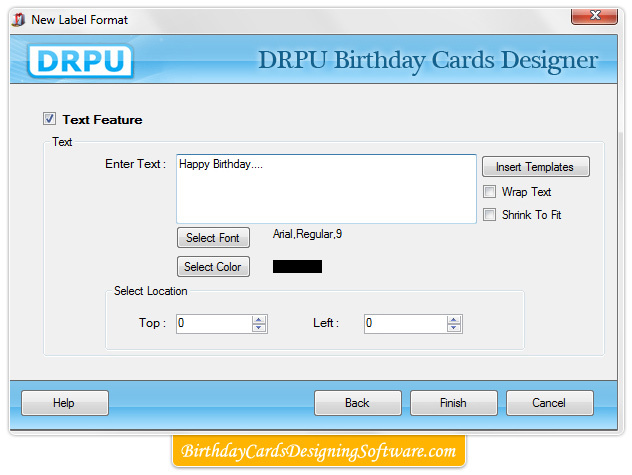 Select to add ‘Text Feature’ while label creation. Add text in ‘Enter Text’text field area. Select text font on clicking ‘Select Font’ button. Select text font color on clicking ‘Select Color’ button. Select text location by specifying ‘Top’ and ‘Left’ margins. Click ‘OK’ button to continue. 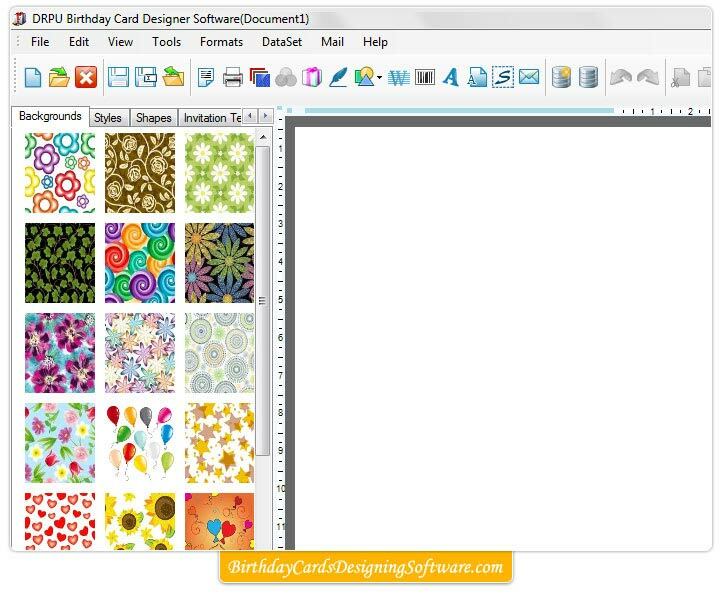 You can add Backgrounds, Styles, Shapes, Invitation Templates and Birthday Templates on the card. As shown in the left panel of the above screen. 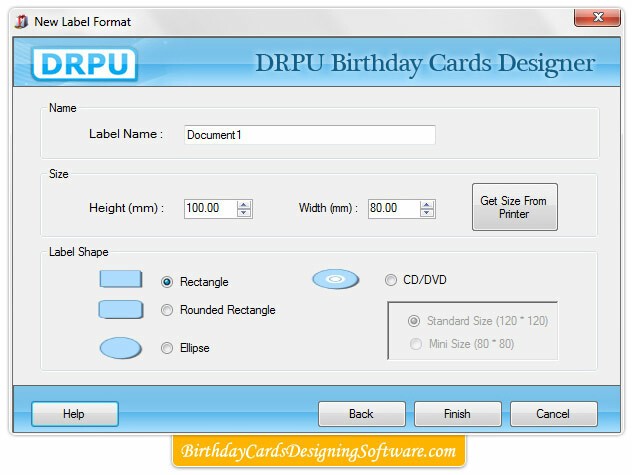 Specify the Label Size that includes Label Height and Label Width. 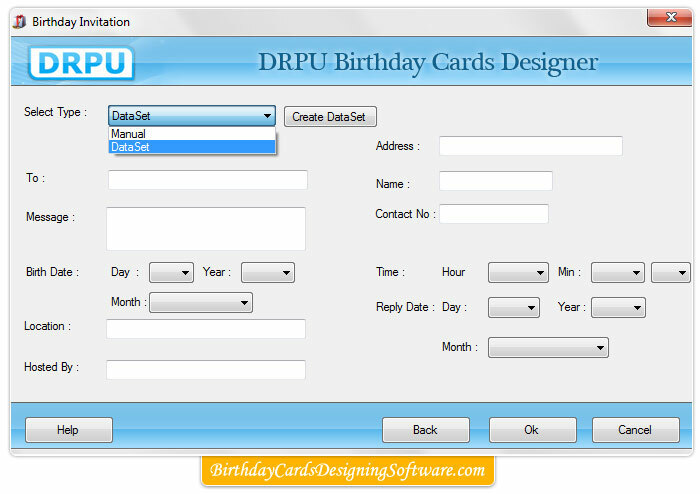 Select type Manual or Dataset to create Invitation card manually or DataSet option. 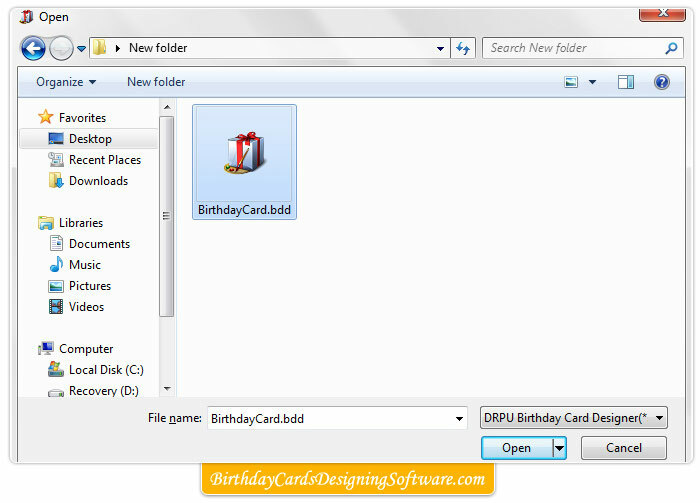 Enter details like To (The name of the person whom you want to invite for birthday party), Message, Birthday Date, Location, Hosted By (The name of the person by whom birthday party is hosed), Address, Name (Enter your name), Contact No ( Contact no of the person by whom birthday party is hosed), Time ( Enter the Started time of birthday party), Reply Day ( Enter the Reply date for confirmation the person whom you are inviting for birthday party is coming or not). 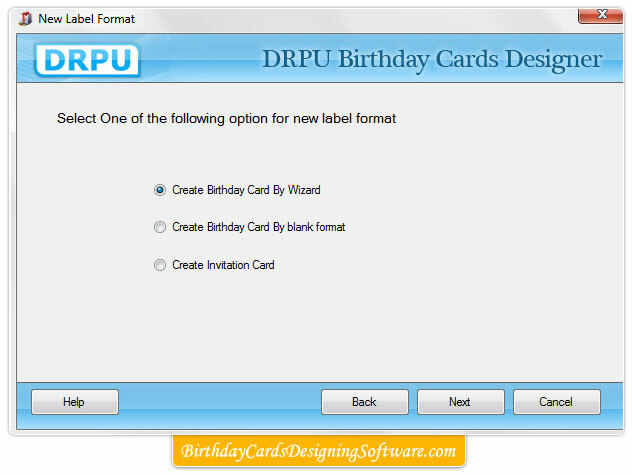 Browse and select the existing label and click on ‘Open’ button to open an existing label format.